Dr Wong obtained his MBChB from the University of Leicester, UK, and received early surgical training in the UK. In 2008, he subsequently completed his Advanced Specialty Training in General Surgery at SGH where he obtained the FRCS (Edinburgh) and FAMS (General Surgery). Dr Wong did his HMDP clinical fellowship in living donor liver transplantation in Japan under the guidance of Professor Shinji Uemoto at Kyoto University Hospital and Professor Yukihiro Inomata at Kumamoto University Hospital. Dr Wong was previously a consultant with the Department of Hepatopancreatobiliary and Transplant Surgery, SGH, adjunct assistant professor at Duke-NUS Graduate Medical School and visiting consultant at the Department of Surgical Oncology, National Cancer Centre Singapore. 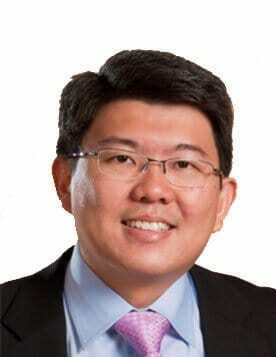 He is also a founding member of the Hepatopancreatobiliary Association in Singapore. Dr Wong’s clinical interests include general surgery with expertise in all aspects of hepatobiliary and pancreatic surgery, minimally-invasive (laparoscopic) surgery and liver transplantation. His special interest is in laparoscopic and robotic liver and pancreatic resections.